As part of a public engagement project The British Psychological Society (BPS) has produced a lovely series of short films to help better educate all to basic statistical concepts. Using dance, the films cover the concepts of correlation, frequency distributions, sampling & standard error, and variance. Plus, one dancer occasionally busts out an excellent Robot, which is always appreciated. The videos are the product of a 2011 BPS Public Engagement Grant project called „Communicating psychology to the public through dance“. The project was led by Lucy Irving from Middlesex University and Andy Field from the University of Sussex and received additional funding from IdeasTap, a British non-profit that focuses on young artists. Im Rahmen des BPS Public Engagement Project „Dancing Statistics“ sind über den BPS Youtube Channel derzeit vier Videos kostenfrei abrufbar. 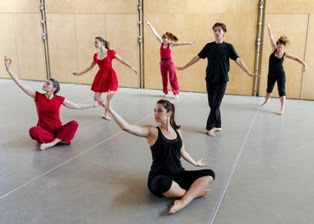 Anhand differenzierter Tanzchoreographien werden die Themen „Korrelation“, „Häufigkeitsverteilung“, „Stichprobe und Standardfehler“ und „Varianz“ veranschaulicht. Darüber hinaus stehen im bpsmediacentre (BPS Youtube channel) mit aktuellem Stand insgesamt 74 weitere Videos zu unterschiedlichen psychologischen Themen zur Verfügung.